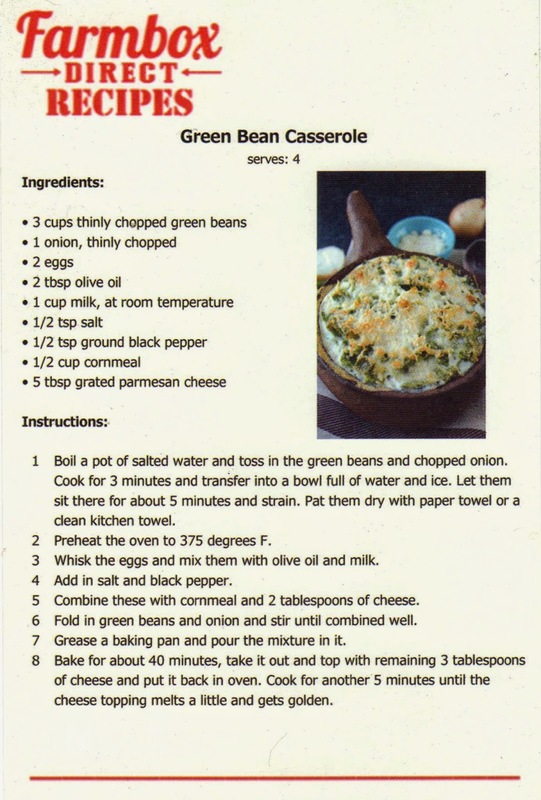 When I got my organic produce box from Farmbox Direct, it included some organic green beans, and a recipe card for this Green Bean Casserole. Come to find out, all the produce boxes they ship contain a recipe card with 2 recipes printed on it (front and back), which is pretty cool. Unlike any others I'd ever seen, this casserole doesn't use any condensed soups or french fried onions, but instead uses eggs whisked with olive oil, room temperature milk, Parmesan cheese and cornmeal. Well, it certainly sounded interesting, so I decided to try making it. 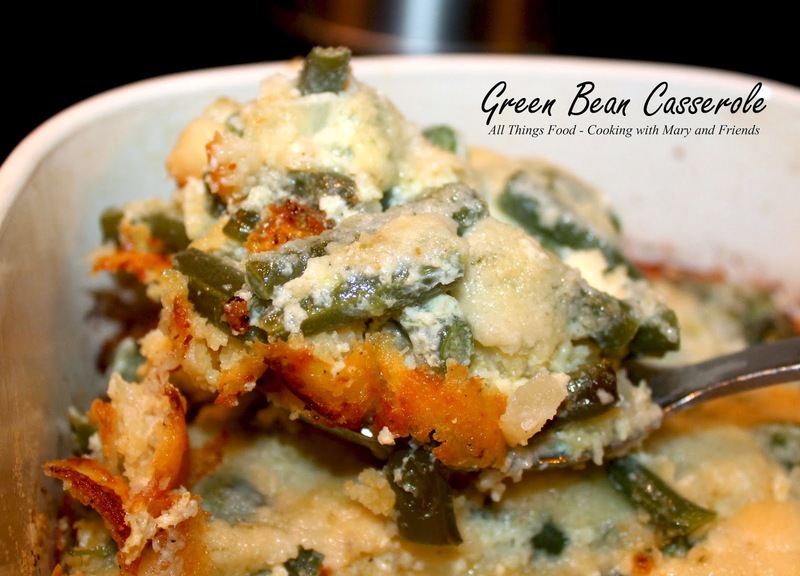 I assumed the cornmeal mix would form a "custard" of sorts, which it does is a way; little crusty on the bottom and more custard-like on top, with the delicious taste of Parmesan cheese, making this completely different than any of the other green bean casseroles I've had over the years. 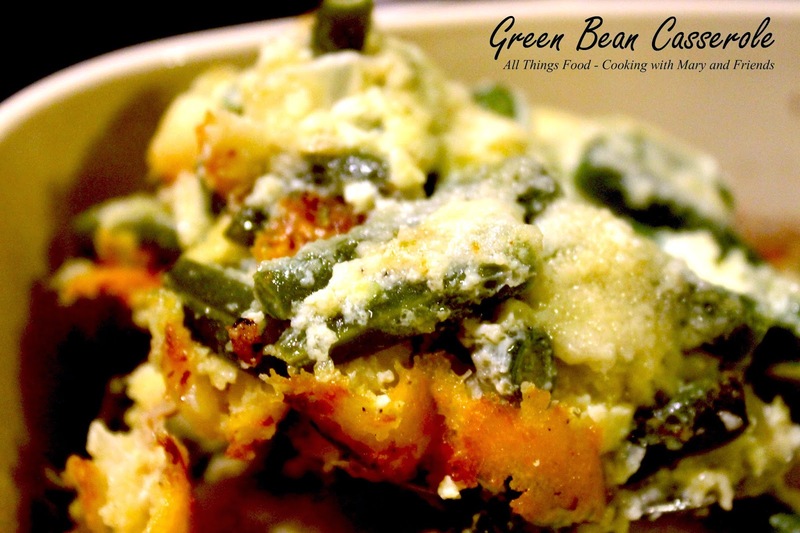 This Green Bean Casserole was really delicious and I'm glad I tried it.